For people who don’t have tinnitus, there are few conditions more complex to comprehend. That’s because unless you’re afflicted with tinnitus, you won’t feel, see or hear the symptoms in the same way you might other conditions. But for the almost 50 million Americans who suffer from some form of tinnitus, the condition is very real and can be very challenging to manage. Tinnitus is best classified as ringing in the ears, but according to the American Tinnitus Association, it can present sufferers with whistling, hissing, swooshing, clicking, and buzzing. Maybe the most frustrating part of tinnitus is that these noises aren’t perceptible by others, which can lead to disorientation, delayed diagnosis, confusion, and depression. The number is truly astonishing when you take into consideration that 15 percent of the overall public has tinnitus. A report put out by the U.S. Center for Disease Control says that 2 million of those people experience symptoms that are debilitating and severe while another 20 million suffer from what’s classified as burdensome and chronic tinnitus. In order to enhance their hearing and drown out the ringing, people with tinnitus often try hearing aids. While a hearing aid has shown to be an effective method of lessening the symptoms linked with tinnitus, there are personal actions you can take to decrease the ringing. 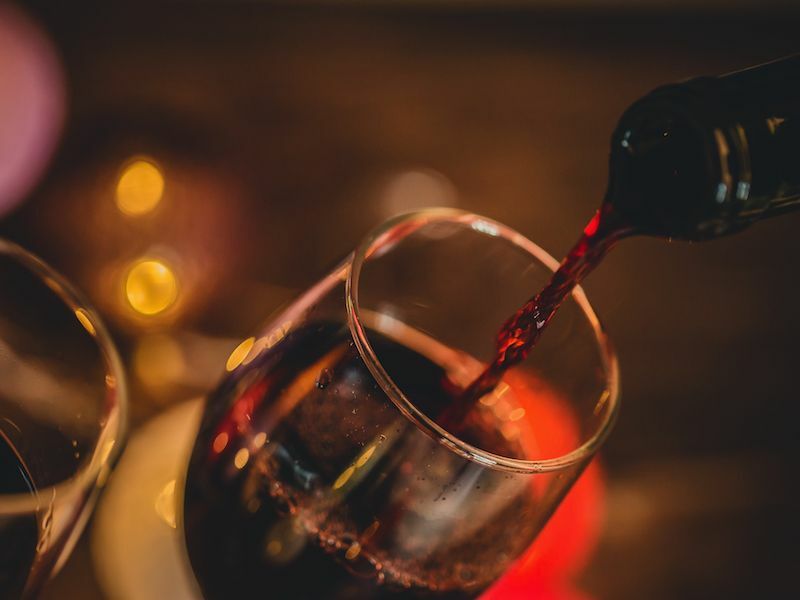 Alcohol; There’s a well-known adage that says drinking a small amount of wine daily can have a positive effect on heart health and cholesterol levels, and that might be true; however, you absolutely can have too much of a good thing when it comes to alcohol and tinnitus. Drinking too much alcohol increases your blood pressure, which makes the ringing louder for some people. Caffeine; Here again, a spike in tinnitus levels goes along with this influence due to a rise in blood pressure. You will most likely notice a change in sleeping habits if you drink too much caffeine. Jaw issues; You should consult a doctor if you have jaw pain and even more so if you have tinnitus. Since the jaw and ears share components like nerves and ligaments, minimizing jaw pain might have an impact on your tinnitus. Smoking; Your blood pressure can definitely be raised by smoking. What’s more, it can narrow the blood vessels to the ears, which can cause tinnitus symptoms to get worse. Particular medicines; Over-the-counter medications like aspirin and other non-steroidal anti-inflammatory drugs can be really effective at soothing pain, but they may actually make your tinnitus symptoms worse. Tinnitus can also be impacted by other medication like prescription cancer drugs or antibiotics. However, you should always consult with your physician about any problems you’re having before dropping a prescribed medication. Infections; There’s a long-running commentary about the need to find a cure for the common cold, particularly since a lingering cold can quickly change into a sinus infection. Infections in both the sinus and ears have been known to intensify tinnitus, so be sure you’re doing everything you can to control your exposure to infections. Loud noises; This one most likely seems obvious, but it’s worth repeating that loud noises can worsen the sounds you’re already hearing internally. If a scenario happens where you will be exposed to loud sounds, be cautious. This can include concerts, loud restaurants, and construction sites. If you can’t avoid loud settings, think about using earplugs to protect you from some of the noise. Earplugs can be particularly helpful for individuals whose job involves working around loud machinery. Hazardous blood pressure levels; If you want to keep your tinnitus under control you should keep track of your blood pressure which can also help safeguard you from other ailments. It’s important to note that both high and low blood pressure levels can make your tinnitus worse, so you should be careful about routinely checking your blood pressure. Poor sleeping habits; When mom said you should get your eight hours of sleep every night, she wasn’t kidding. Sleep is another essential aspect of a healthy life that offers a wide variety of benefits, including helping to avoid tinnitus triggers. Excess earwax; There’s no doubting that earwax serves a beneficial role in the grand scheme of how your ears work. But actually dirt is trapped and our ears are protected by this gunk that we hate. That said, too much accumulation can cause tinnitus to get worse. Your doctor may be able to help you relieve some of the buildup and provide prevention advice to make sure it doesn’t accumulate to an unsafe level again. Though there’s no established cure for tinnitus, there are ways to control the symptoms and take back your life. You might be surprised in the changes in your general health and your tinnitus symptoms if you try these 10 recommendations. If these don’t help, schedule an appointment with a hearing specialist.